Alright, Bad Jones are back! After a brief hiatus, to rip the roof off Portland Public House. 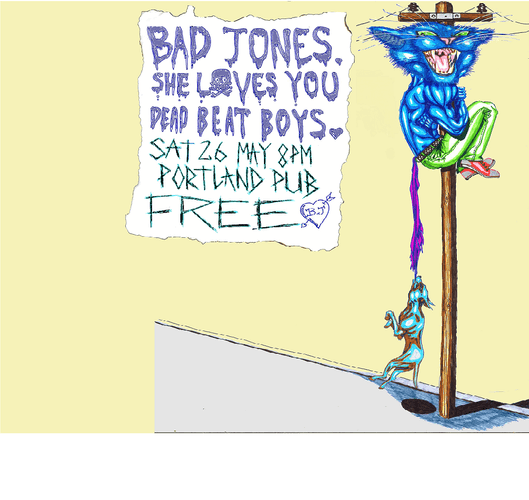 Expect the usual from Bad Jones, but if bands who actually know how to play their instruments are more your cup of tea, we've got She Loves You and Dead Beat Boys on board to help us melt some faces. And it's free so no excuses for missing this one. See you all there!